The findings of the report which was carried out after Mifidii came into force, may assist any individual or group of investors to ascertain whether they had been ‘misrepresented’ the costs and charges for their investment. Under the 1967 Misrepresentation Act, successful claimants could be entitled to rescind their contract with the investment firm and claim damages for their losses. We would urge the FCA to re-consider its refusal to mandate a standardised disclosure of costs and charges to retail investors, rather than only offer this for institutional investors. How can it be fair to discriminate against ordinary retail investors by only granting to experienced, professional investors the enhanced levels of understandability and comparability afforded by a mandated format? 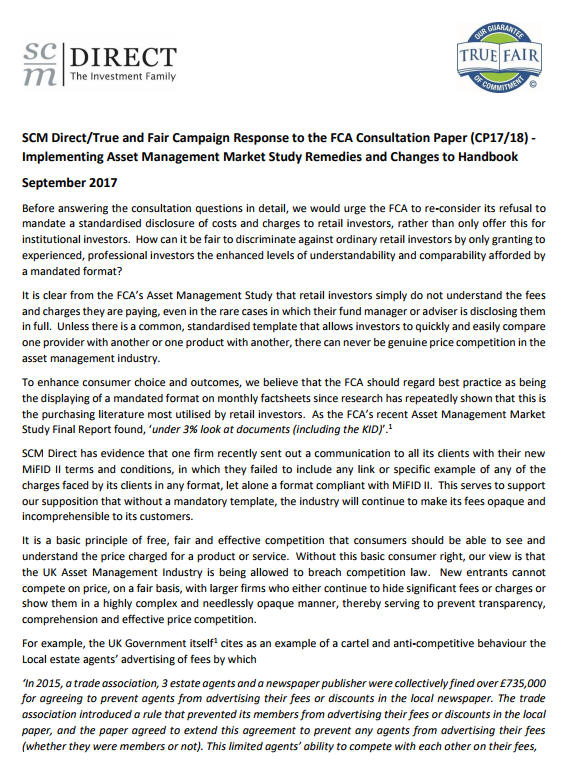 It is clear from the FCA’s Asset Management Study that retail investors simply do not understand the fees and charges they are paying, even in the rare cases in which their fund manager or adviser is disclosing them in full. Unless there is a common, standardised template that allows investors to quickly and easily compare one provider with another or one product with another, there can never be genuine price competition in the asset management industry. Ahead of the FCA Asset Management Report this Wednesday, SCM Direct mystery shopping research reveals UK wealth managers continue to significantly mislead clients on charges, and may be breaking FCA rules. 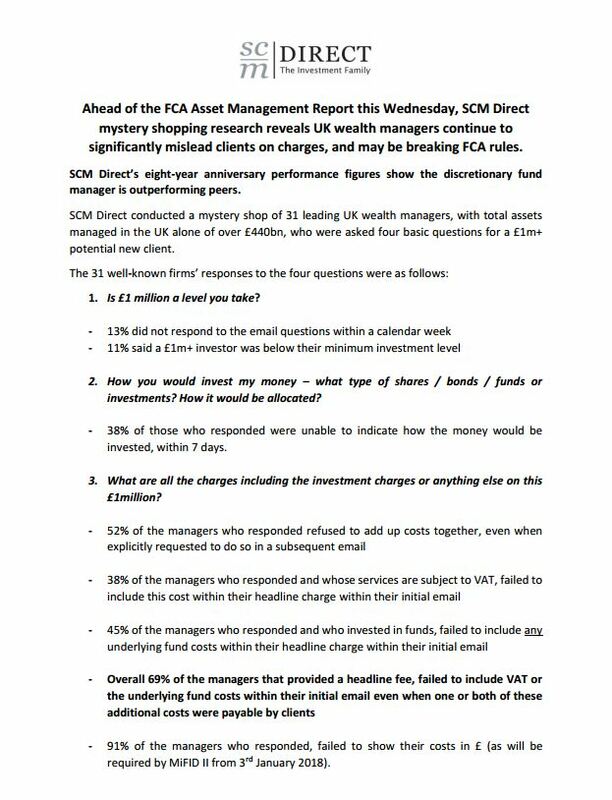 SCM Direct conducted a mystery shop of 31 leading UK wealth managers, with total assets managed in the UK alone of over £440bn, who were asked four basic questions for a £1m+ potential new client. 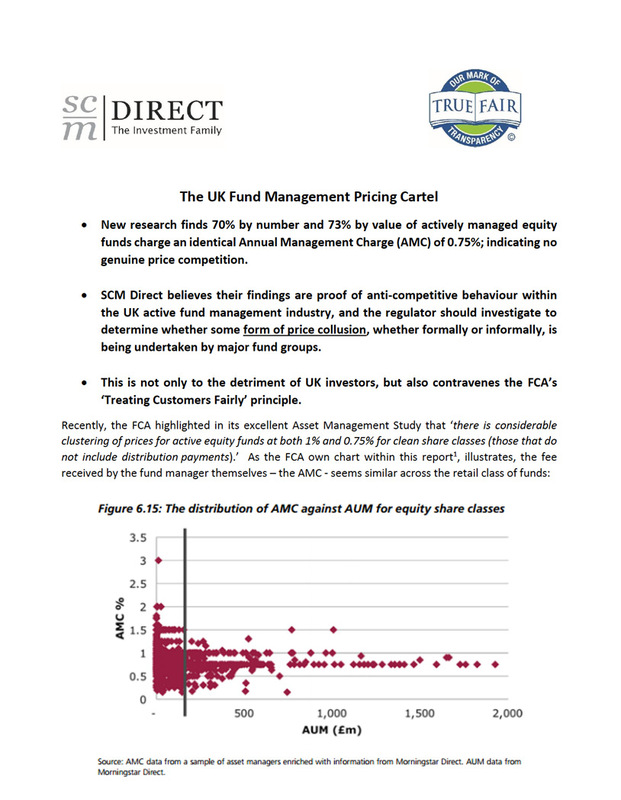 Recently, the FCA highlighted in its excellent Asset Management Study that ‘there is considerable clustering of prices for active equity funds at both 1% and 0.75% for clean share classes (those that do not include distribution payments).’ As the FCA own chart within this report1, illustrates, the fee received by the fund manager themselves – the AMC – seems similar across the retail class of funds. The 208 page FCA paper is a comprehensive and informed analysis of the numerous dubious practises that have dogged the UK fund management industry for decades. 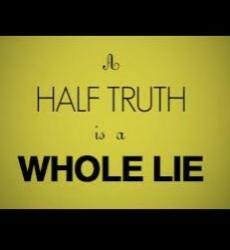 An industry that has lost its moral compass and the principle of putting customers first. Will UK Smaller Company Funds be the next sector to leave UK investors stranded? SCM Direct were one of the first to highlight the liquidity issues connected with UK property funds, post the Referendum vote on 23rd June . We alerted the FCA on the business day after Brexit to the fact that major property funds with illiquid investments were being mispriced and needed to be re-priced and/or suspended. 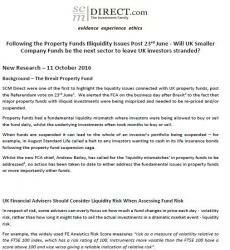 Property funds had a fundamental liquidity mismatch where investors were being allowed to buy or sell the fund daily, whilst the underlying investments often took months to buy or sell. 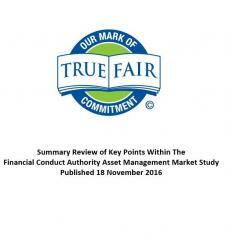 The findings of this review and research report leads SCM Direct to believe that the FCA needs to urgently apply the brakes and systematically review this nascent sector. 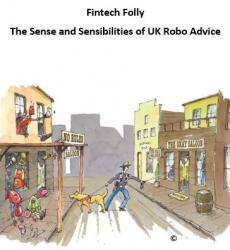 Our conclusion is that there is little evidence of robust innovation, as new robo-advisers appear to be fundamentally financially unviable and/or seem to be regularly flouting key FCA rules. Is it time for the FCA to step in and protect consumers, and uncharacteristically act before the horse has bolted? 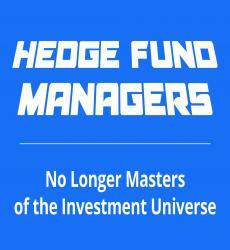 New research by SCM Direct reveals 4.8 million UK individuals, are invested in hedge funds via their pension schemes. Shockingly, these pension savers are being charged c.36 times the fees of low cost alternatives, whilst receiving as little as 1/3rd of the performance they would from a low cost index-based strategy. 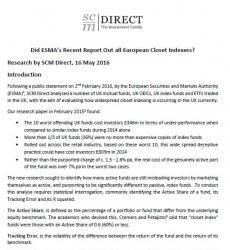 Did ESMA’s Recent Report Out all European Closet Indexers? New research sought to identify how many active funds are still misleading investors by marketing themselves as active, and purporting to be significantly different to passive, index funds. To conduct this analyse requires statistical interrogation, commonly identifying the Active Share of a fund, its Tracking Error and its R squared. The UK fund management industry closet indexing epidemic continues to be ignored by the regulator and condoned by industry trade bodies. With no sign of action to eradicate this deception, which amounts to fraud, the British public should consider legal action against UK fund groups. For decades the UK Fund management industry has been selling funds claiming to beat the market (Known as the index) and charging significant fees based on this objective.